Creating a niche of Plastic Dinner Sets such as Plastic Dinner Set, Plastic Dinnerware, Plastic Dinner Plate, Plastic Dinner Pot and Dinner Set at its best, with utmost quality. 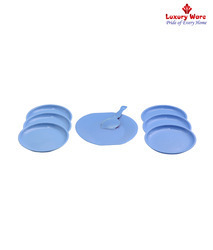 We are leading manufacturer Blue Cake Set. We providing a wide range of Blue Cake Set to our client. 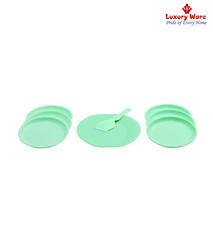 We are leading manufacturer Green Cake Set. We providing a wide range of Green Cake Set to our client.